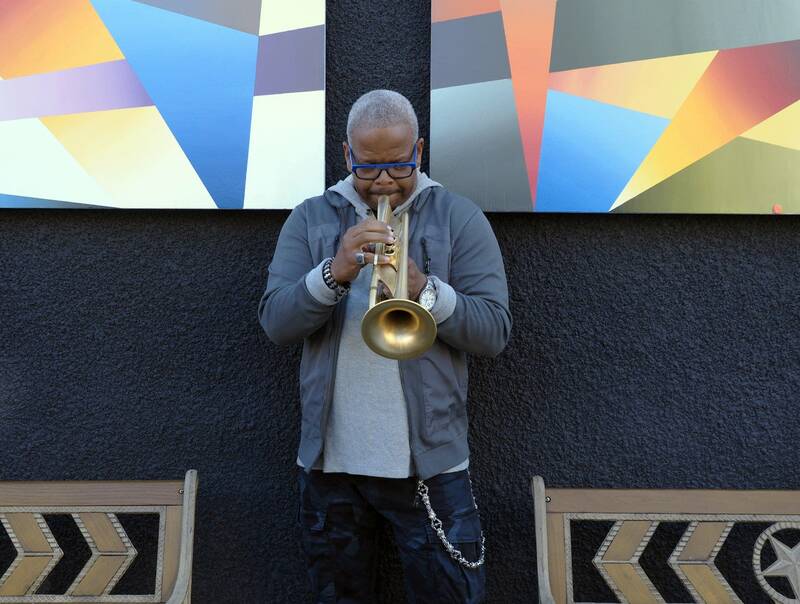 Jazz trumpeter Terence Blanchard's appearances at the Dakota Jazz Club Tuesday and Wednesday have a special significance for him. The Minneapolis club is where he began recording his latest album, "Live," which is dedicated to ending gun violence. "It's very interesting, because the Dakota is kind of where it all started with this album," he said. At the time Blanchard was touring with "Breathless," an album that also focused on the impact of gun violence, particularly in the African-American community. • MPR News with Kerri Miller: What can music tell us about activism and protest movements? "And we went to three cities where they had tragic events," he recalled. "We went to Minneapolis, Cleveland and Dallas. And Minneapolis was one of the first places we started the tour on." Blanchard and his band, the E Collective, wanted to do more than play. They met with the community. They visited the school where Philando Castile worked before he was shot and killed by a police officer in 2016. "I met a lot of the kids," he said. "We performed for the kids. Got a chance to talk to them. Talked to the people that worked with him." He also met with people at the Ujamaa Place in St. Paul, which works with men of color to develop the skills it takes to be a successful individual, father, employee and citizen. "Seeing all of those things, and trying to be involved in the community, is very important. And that particular leg of the tour was really insightful," Blanchard said. For a protest album, "Live" can seem laid-back. But it's packed with thought and meaning. The music was recorded during the tour, including at the Dakota. According to Blanchard, it has a dual function. "The music itself is created to help people heal, and help people deal with their frustrations," he said. But the music is also his personal political protest, he said. "There is so much going on in our country right now, man," he said. "There are so many unbelievable things that are happening. That's the reason I wrote the tune 'Kaos.' You know, I never thought we would allow ourselves to be governed by a person who lies every day." "Whether you are Republican, Independent, Democrat, it doesn't matter," Blanchard said. "None of that matters at this point. It's about integrity. That's what's been on my mind, trying to wrap my head around that. How we got here, and how do we move from this point." Blanchard has enjoyed a long and varied career in jazz. 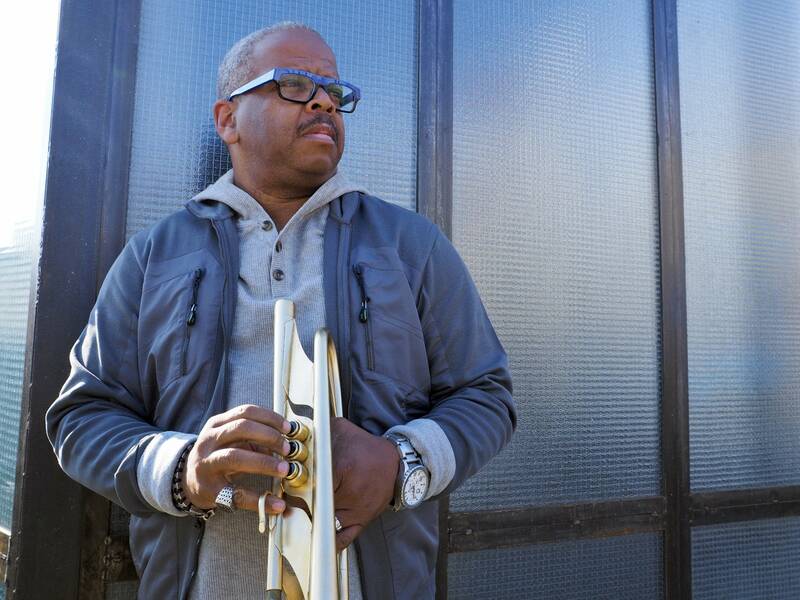 He began playing trumpet in the early 1980s and was soon touring with the Lionel Hampton Orchestra. He moved on to join Art Blakey's Jazz Messengers before breaking off to begin his solo career. He's composed the scores for all of Spike Lee's movies since the early 1990s. He's played in Minnesota time and again over the years, and says Minneapolis is a great jazz town. "Whenever we play, there's always an educated audience that comes. People who are great music fans," he said. "I hope to see some young people. We have been seeing younger and younger people come to the shows, which is great because that is what we put the band together for, to inspire young people to play instruments." And to get them involved in the conversation about where we go from here.